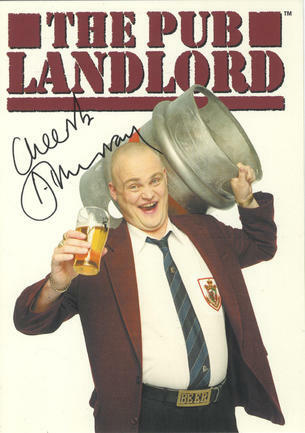 This is a Hand Signed Colour 5.75" x 4" Publicity photo by the English comedian. Alastair James Hay "Al" Murray (born 10 May 1968), is a British comedian best known for his stand-up persona, "The Pub Landlord," a stereotypical xenophobic public house licensee. In 2003, he was listed in The Observer as one of the 50 funniest acts in British comedy and in 2007 he was voted number sixteen on Channel 4's hundred greatest stand-ups.